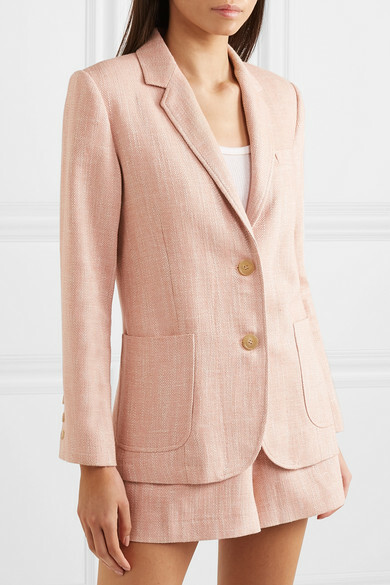 When it comes to tailoring this spring, why not try the color equivalent of a palate cleanser? 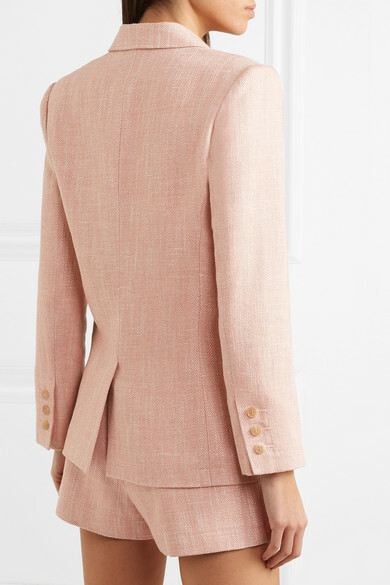 Vanessa Bruno's 'Luce' blazer is woven with touches of linen in a blush hue that looks especially pretty with white. 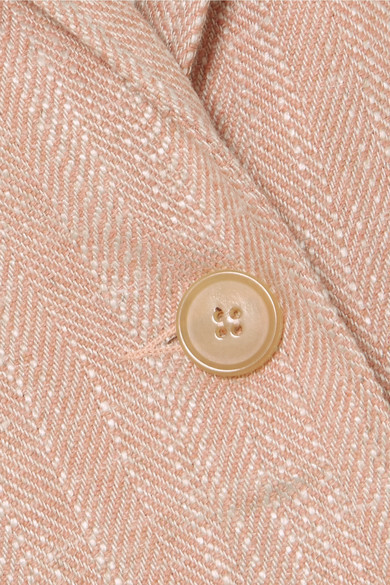 The striped satin lining is an unexpected yet thoughtful detail. Shown here with: Vanessa Bruno Shorts, Rosantica Tote, BY FAR Sandals, Leigh Miller Earrings.